Wash and drain the red moong and soak for 30 minutes. 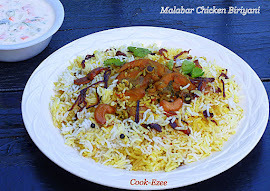 Cook it till tender by adding 1/2 tsp salt (give it a whistle or two in pressure cooker or cook it covered till soft -don't overcook). Set aside. Heat up a kadai or non-stick pan, pour the oil and crackle mustard seeds. Add in curry leaves and broken red chilies and saute for few seconds. Add in the onion, green chilies, salt and saute for a minute. Add the chopped yard beans, turmeric powder and saute well to mix everything. Add the cooked red moong/red chori and stir well to mix everything. Cover and cook for some more time say five-seven minutes till yard bean and red moong blend well and is cooked properly. Check for the salt and adjust accordingly. 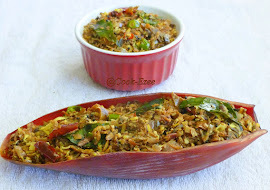 Add the grated coconut and more curry leaves and saute to mix well. Switch off the flame and serve warm with Rice/Roti. Enjoy!!!!!! 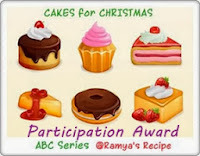 I am really honored and happy for receiving the 'Top Contributor Award' and 'Participation Award' from Ramya of Ramya's Recipes for the participation in her Cakes for Christmas Event. Thanks a lot Ramya for this cute awards. Wow!1thoran looks so delicious and colorful,lovely combo. An award is waiting for u dear,drop by at my space and collect it. healthy combo, thoran looks so yummy n colorful!! 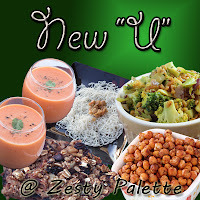 Very delicious n nutritious combo..yummy!! Simply cant take my eyes from ur click..delicious thoran. nice combo for the thoran. i havent tried it yet. happy to see the awards on ur space. ayyannur alla dear.Pandalam aanu.Prathibha evideya naattil? Nice combo!! Happy New Year Dear.Glad to follow u.Drop to my blog too. healthy and delicious combo, nice thoran Prathibha..
Thoran looks delicious. Would be lovey with steaming rice and some moru. yum yum. Once I got yard beans and didn't know what to do with it and prepared a simple stir fry. 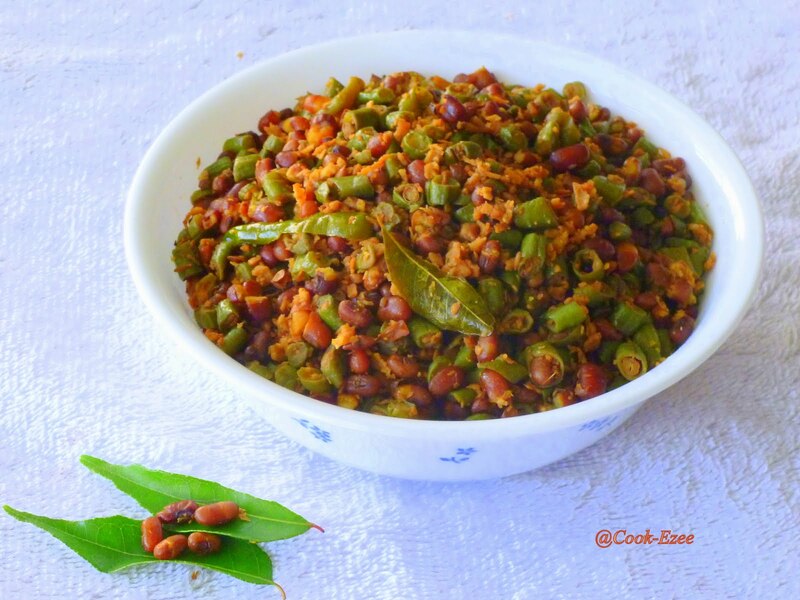 Your preparation with lentils makes me to feel healthy and I am going to prepare it this way when i get yard beans. Thoran looks inviting and the clicks look gorgeous. Thx for linking to the event. Could you also add a link to the event announcement? Thx.